I get a lot of questions about my skincare regimen. I haven't really shared much, because I hadn't had much of a real regi. I'm pretty lazy with it actually. BUT, I've been on a quest to step it up. I never had skin issues as a teen, nor when I was in my 20's. Things have been a' changing ever since I crossed that 35 yr mark, however. 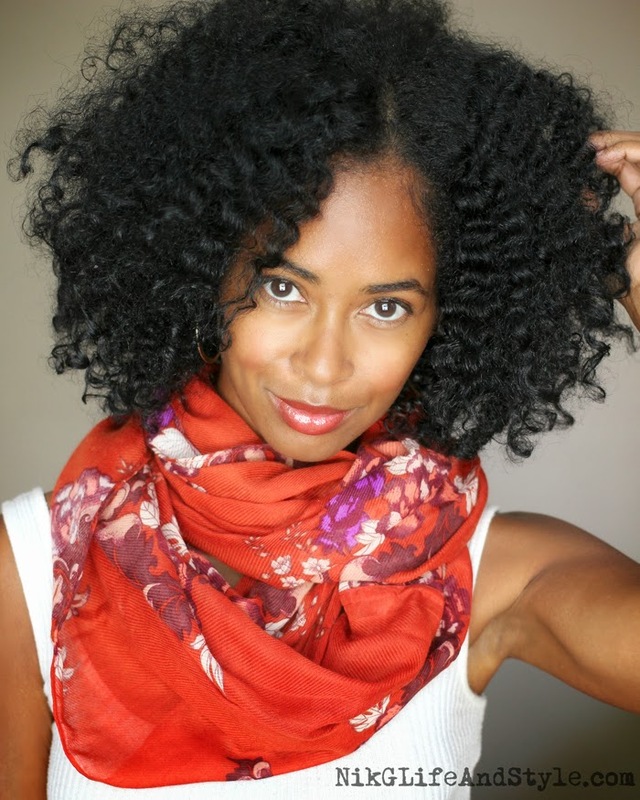 I've notice changes in my skin's texture as well being prone to minor breakouts more often. 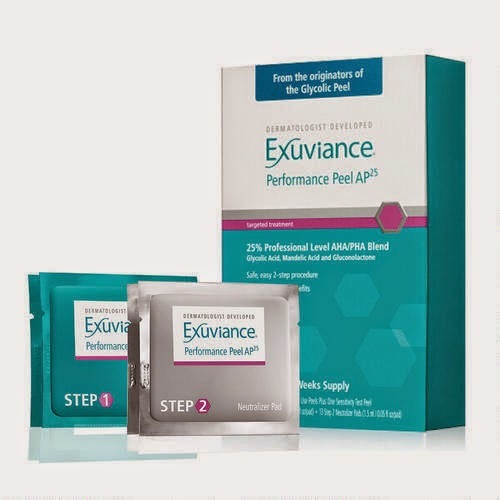 So when I got the sample Exuviance Performance Peel in the mail, it was perfect timing. I'd been doing research on light at-home peels and have had a couple sitting in my cart on Amazon for a little while. I've kept postponing because there are so many to choose from--TCA, glycolic, lactic acid, AHA, etc. Since I had the Exuviance Performance Peel in hand--I thought "why not?" I'm not going to go over the details of the peel. All the information you need is here. I just want to report back that it works. No lie. I even had to go buy more for myself, so that I could try it a second time. The sample I'd gotten was only for one application. All I can say is the second application was the charm for me. It erased some really fine lines I have on my forehead, and tiny laugh lines. I'm not on needing-botox-level with the fine lines yet, but I'm all for trying to prevent them and prolonging the inevitable for as long as possible. It is recommended that you use the peel up to twice a week. I'm using it once a week for now, and will reduced that even more after about a couple more weeks. I've been having an issue with whitehead breakouts on my forehead recently. They've been totally cleared. So, aside from that, I've tried to be more diligent with my skincare regimen and even bought myself a Clarisonic Mia 2 face cleansing brush. I will be doing a post on that soon as well. I suggest if you are having some minor skin issues, like like acne, blemishes or fine lines--give a gentle at-home peel a try...even if you don't try this one. Just do your research first. It has made a big difference for me! This is a sponsored post. I was provided free samples to review. All opinions expressed are my own. Thanks Nik. I never had skin care issues until I turned 34. The last five years have been awful. Dermatologist after another. All types of products. Frankly I'm tired. I attribute it all to my hormones. Well, you are not alone, dear. I've got some other skincare posts coming because it has been an ongoing issue with me as well!